Got to know about this place from one of the agents that we met while viewing some units at Damansara Perdana a while back. We ate here ages ago, the website states that it is a halal restaurant and I remember looking for a certificate when arriving at the restaurant's entrance but I can't seem to recall whether I saw a JAKIM halal cert or just an acknowledgment from the restaurant side that they use halal meat. Sorry! But, yes we did eat there that evening. There were a few muslim patrons there as well as non-muslims, so again, whether you choose to eat here and or not is a personal choice. The restaurant is a bit further in, in one of the confusing rows of the Damansara Perdana shop lots and if you come in the evening like us it's a bit dark and deserted. Do not come here alone. Nonetheless, when you step into the restaurant, the air changes immediately as the restaurant is bustling with patrons. 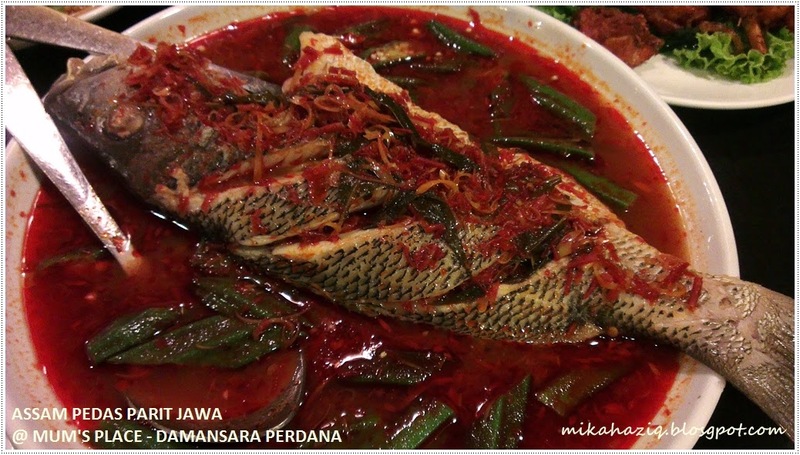 Just because I was craving for asam pedas :) I'm not sure what kind of fish was cooked in it, maybe Jenahak? But then again I have never eaten Jenahak before.. all I know is it is not a salt-water fish, the flesh was kind of bland. Which is a bummer but the gravy was divine! a bit on the watery side but still kicks enough punch of spicy and sour and the lady fingers were just generous. But the serving is huge though, this is the only size they serve, I wish there's a smaller portion just for one. Next dish was pan fried tiger prawns with butter and garlic for the hubs and the no 2 kid, another winner from Mum's Place, this dish was also super delicious. 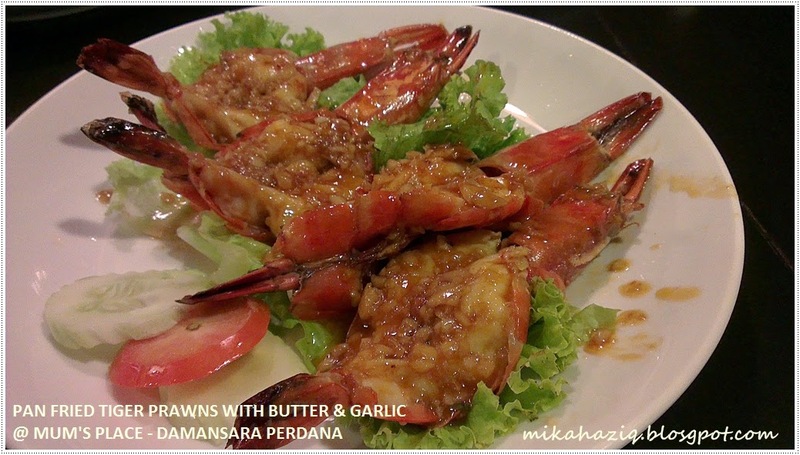 The prawns were juicy and succulent, the butter so creamy and the garlic not overwhelming. Sedap! Eat it while its still hot. Again, for the no 2 kiddo, fried chicken. 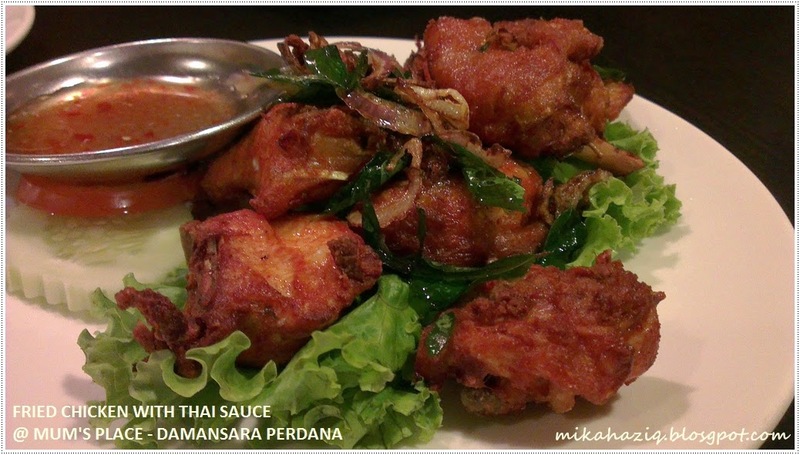 Crispy and not spicy, no complaints! 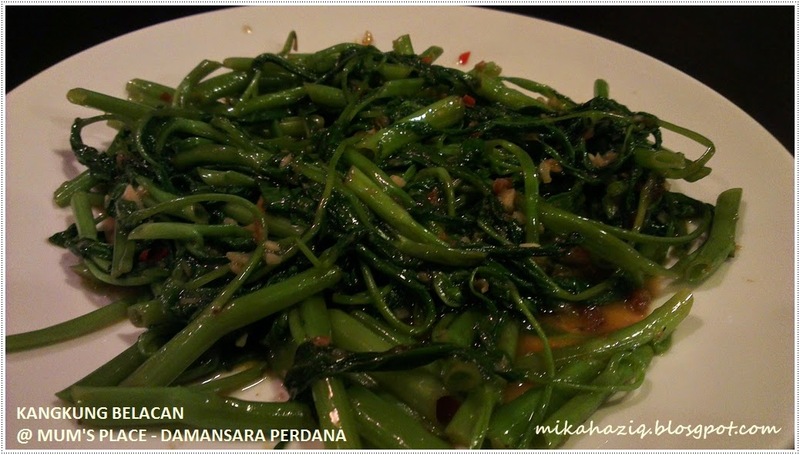 Kangkung Belacan looks a bit unappetising but surprisingly makes up for it in taste. Kangkung was crunchy and the belacan was also very light. Hubby's must have when dining in any place that offer it. The cendol! Again another dish that is unassuming in appearance but still don't let its look deceive you. 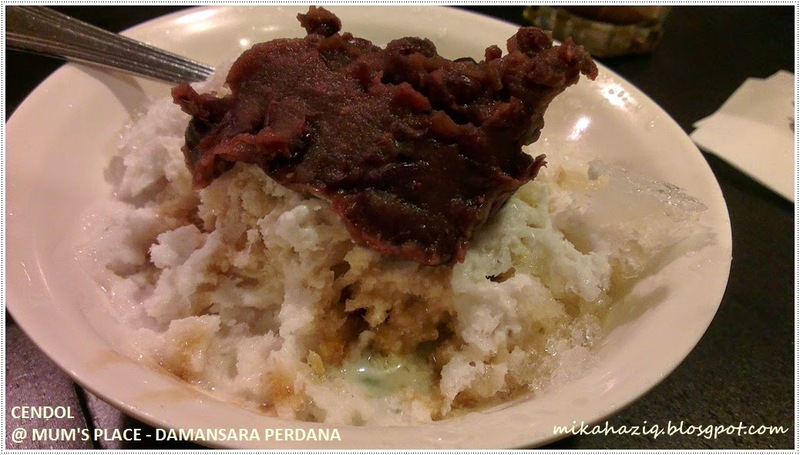 The cendol is actually quite nice, the coconut milk is not diluted, the gula melaka is generous (but not sickeningly generous) and the cendol and red beans still retains their flavour (not like some place where the cendol and red bean are tasteless). The serving is quite small so I refrained from eating too much from the hubs bowl. All in all, it was a delicious and very satisfying dinner at Mum's Place.